One of Durango Fire Protection District’s seasonal wildland crews was deployed to Georgia on Thursday to the West Mims fire. The crew includes Engine Boss Allen Ottman, Engine Operator Adi Miller and firefighters Sean Ratzmann and Nate Murano. 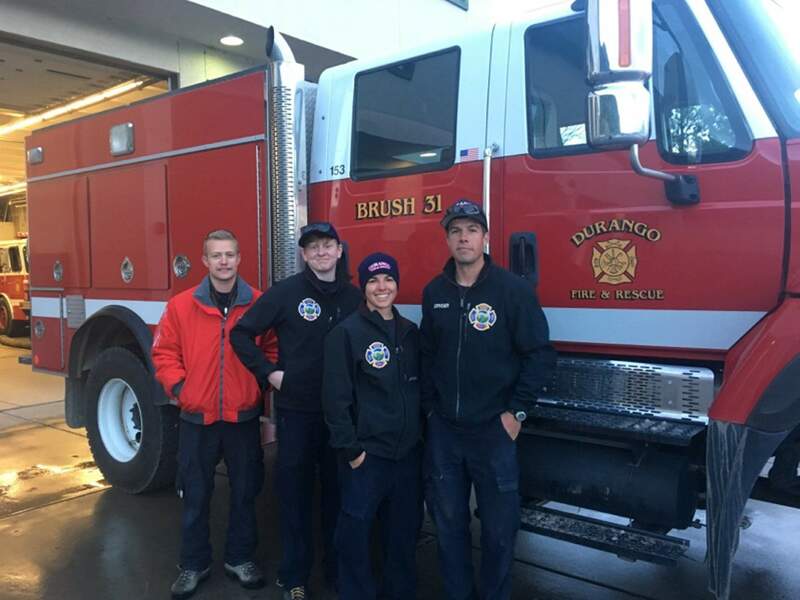 Four Durango Fire Protection District crew members deployed Thursday to a wildfire in Georgia. From right to left are Engine Boss Allen Ottman, Engine Operator Adi Miller and firefighters Sean Ratzmann and Nate Murano. The Durango Fire Protection District has a crew cruising down to the Florida-Georgia line to assist at a fire that experts predict could last through the summer. Four of the agency’s wildland specialists loaded up one of the department’s wildland fire trucks, Engine 31, at 6 a.m. Thursday for a deployment on the West Mims fire burning in the Okefenokee National Wildlife Refuge near Fargo, Georgia. The fire has burned more than 150,000 acres and cost more than $29 million, according to the National Interagency Fire Center. The lightning-caused blaze was reported April 6. Engine Boss Scott Neilsen, who was not among those who deployed, said this is the first deployment of the year for the seasonal wildland specialists, who came on full time Monday. 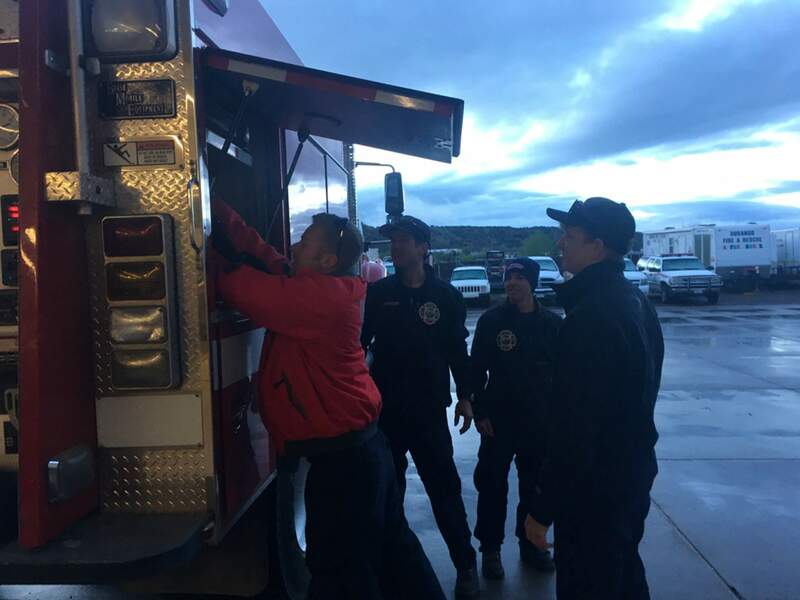 Included on the crew are Engine Boss Allen Ottman, who has been on the wildland crew for five years, Engine Operator Adi Miller and firefighters Nate Murano and Sean Ratzmann, who is being deployed on his first fire, Deputy Chief Randy Black said. Private timber resources are at risk from the fire in addition to the refuge area and some nearby towns, Neilsen said. “There are communities that could be threatened. That’s why we sent a wildland-urban interface engine there,” Neilsen said. The crew has training for structure protection and emergency medical intervention as well as chain-saw training and experience. While this is the first deployment for the wildland crew, other individuals associated with the department have already been on the West Mims fire. “We’ve sent numerous units down there through our single-resource program, including a fire behavior analyst,” Black said. Analyst David Dallison has been to the fire twice and believes it has the potential to burn through most of the summer, Black said. Should the fire continue for weeks, DFPD is prepared to swap out crews and keep the engine in Georgia. It should not hamper wildfire coverage in the Durango area, Black said. In the past, the department has maintained two wildland crews of three to four members but decided to up its coverage this year by bringing on 10 seasonal crew members who will rotate on deployments throughout the season, with no more than eight being out of town at any given time, Black said. “We changed our model to make sure we had increased availability in town due to our higher call volume,” Black said.